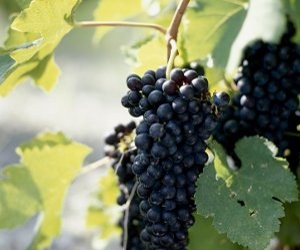 Syrah is the grape variety for the great wines of the northern Rhône Valley like Saint-Joseph, Côte Rôtie, Hermitage, etc. It has been grown in our region for several millennia, and this is where it flourishes the best. Gamay is an early grape variety, grown here on the granitic soils of the Haut-Vivarais region at an altitude between 250–350 m. Its hardiness is perfectly suited to the Rhodanien foothills. Composed of early grape varieties Gamay and Syrah, grown on the granitic soils of the Haut-Vivarais region at an altitude between 250–350 m. They are resistant and perfectly suited to the Rhodanien foothills. The Viognier grape variety grows on a south / south-east facing granitic terroir with a continental climate and hot, sunny summers. The Marsanne grape variety is the dominant stock in the Saint-Joseph White; grown here since time immemorial, it is well suited to the granitic terroir and to the continental climate, with hot, sunny summers. Yields are carefully controlled, to obtain optimum ripeness.